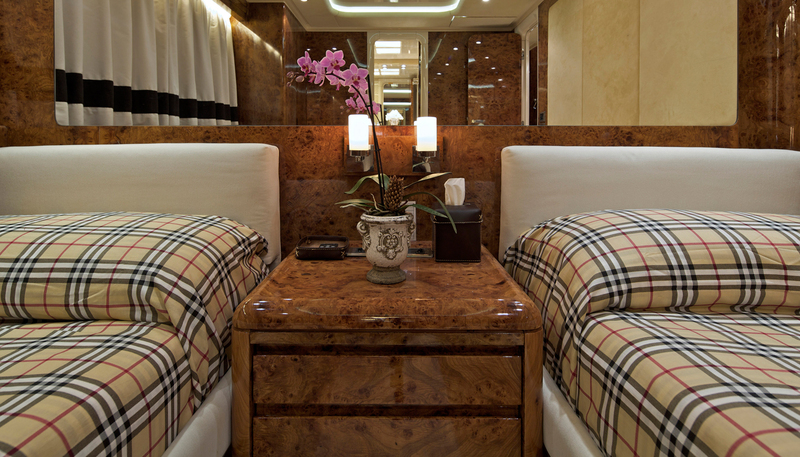 One Master Cabin with a king size bed, beauty table, sofa and safe box. 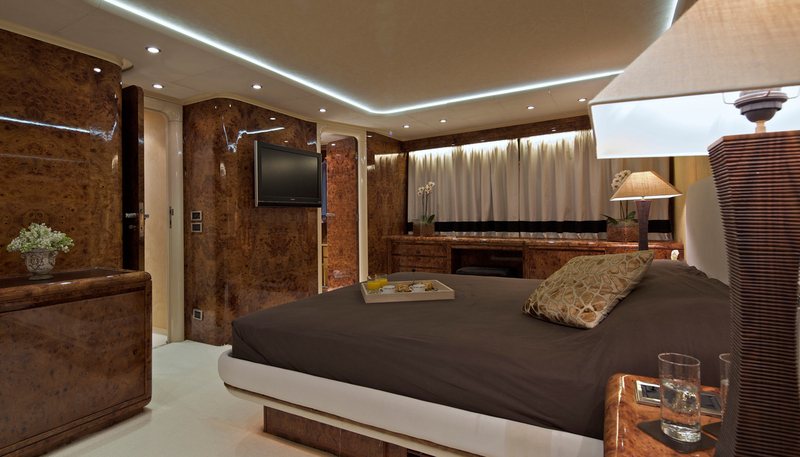 One VIP cabin with a king size bed, beauty table, sofa and safe box. 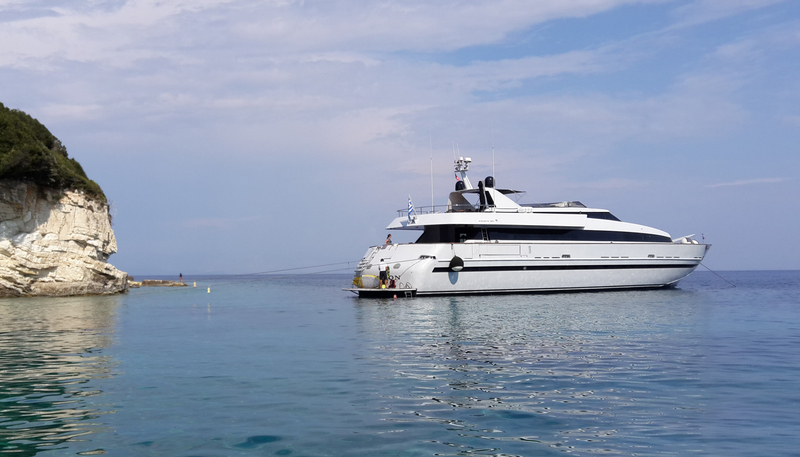 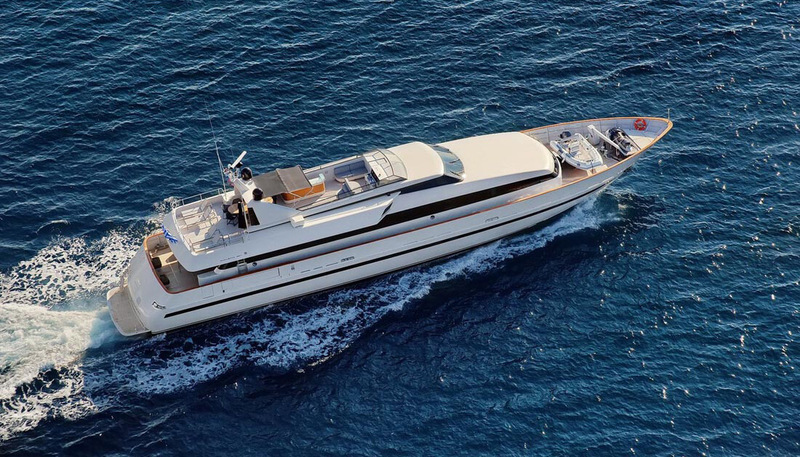 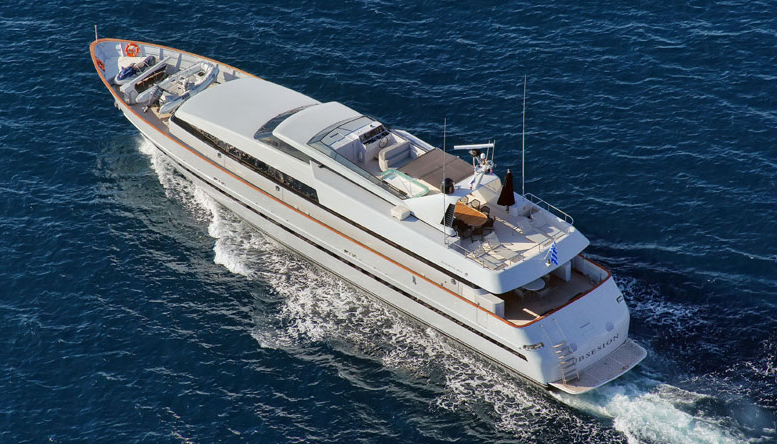 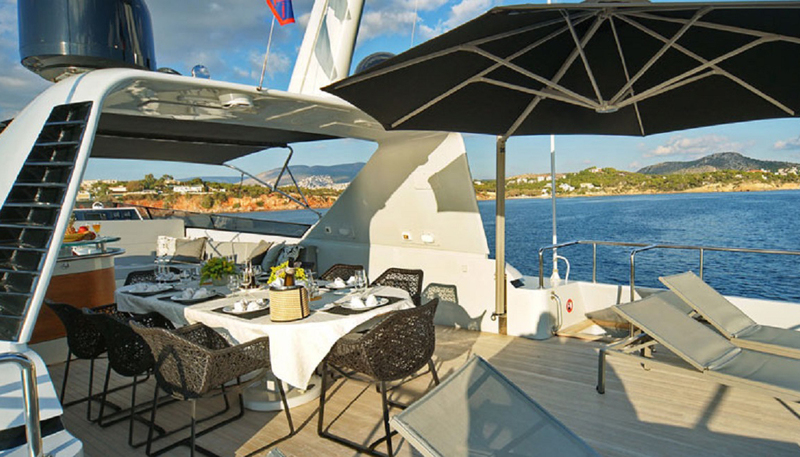 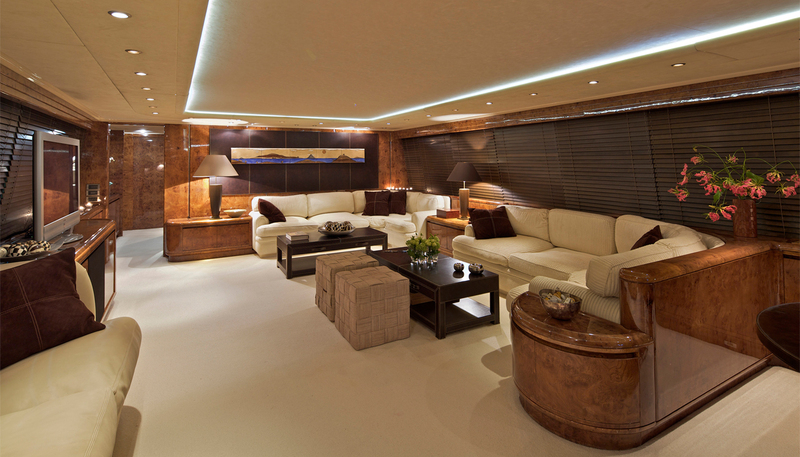 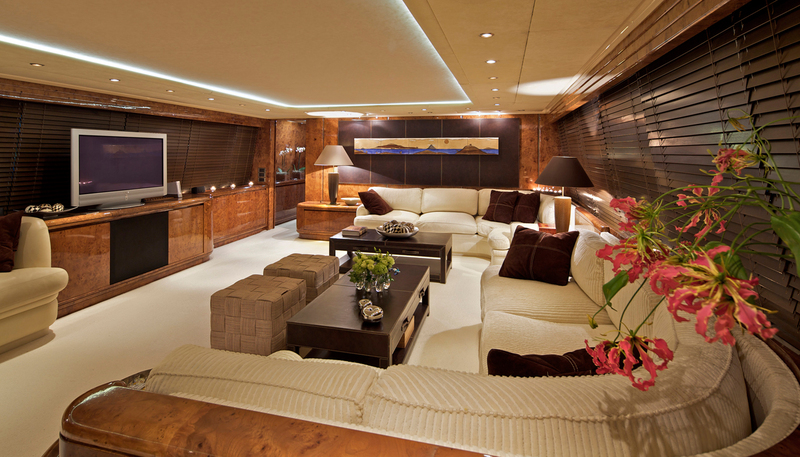 Motor Yacht Baglietto 36.70m, total refitted in 2012 with 5 cabins and 7 crew. 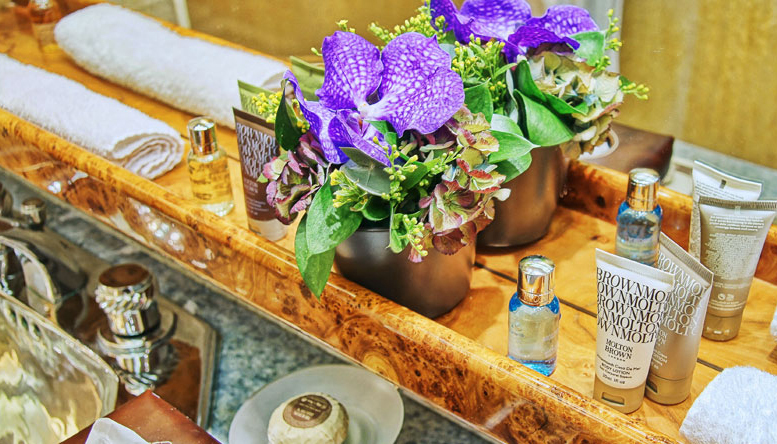 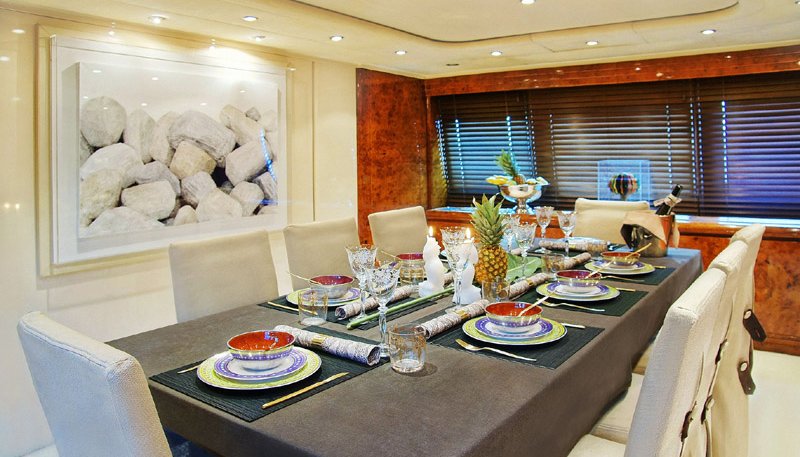 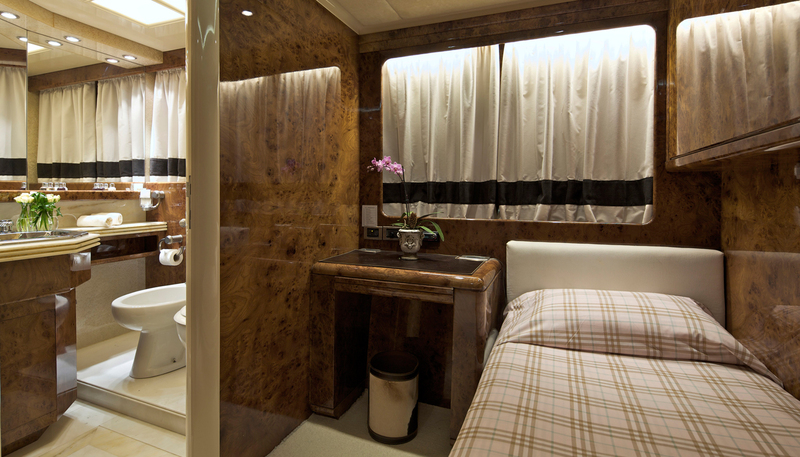 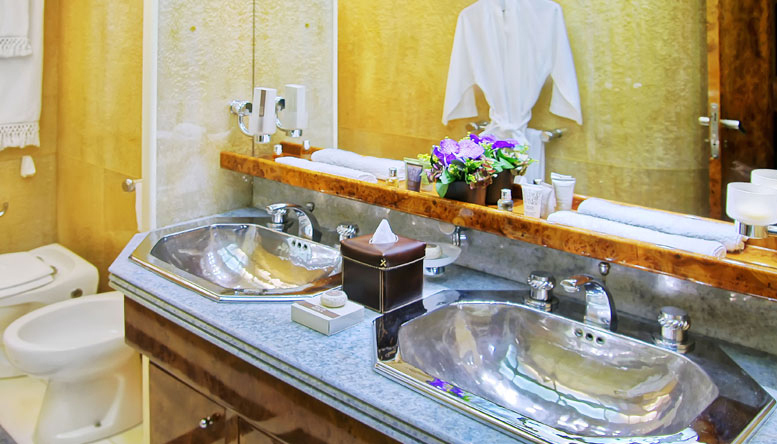 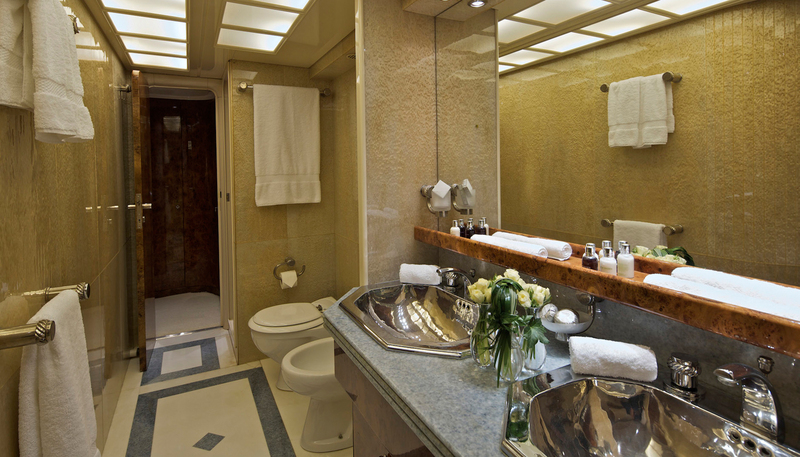 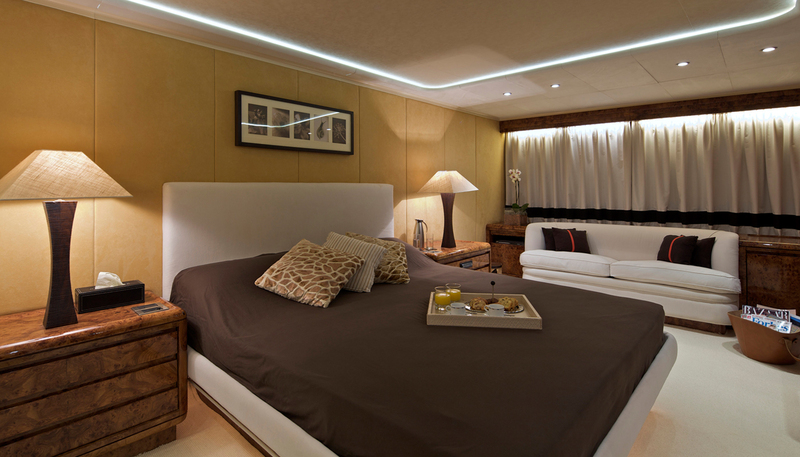 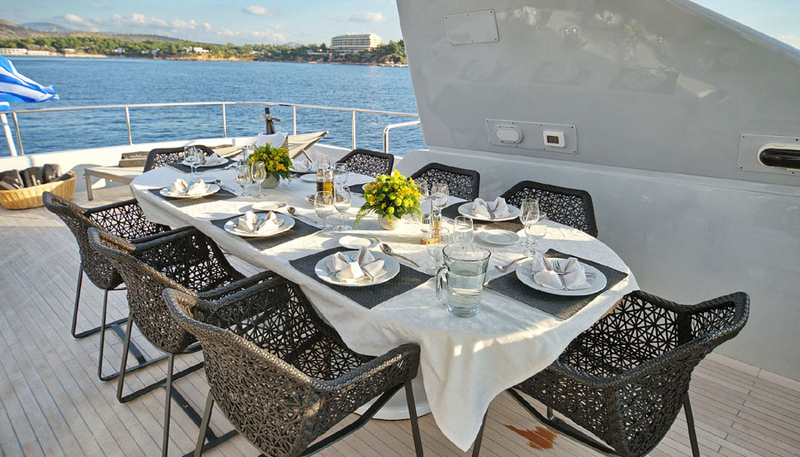 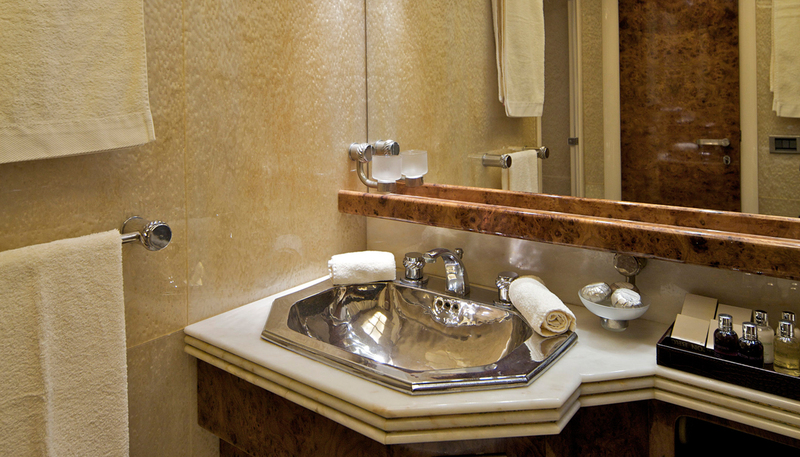 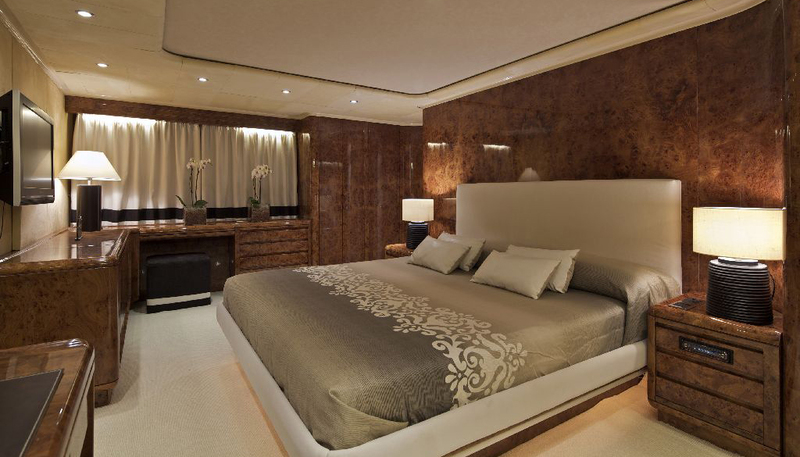 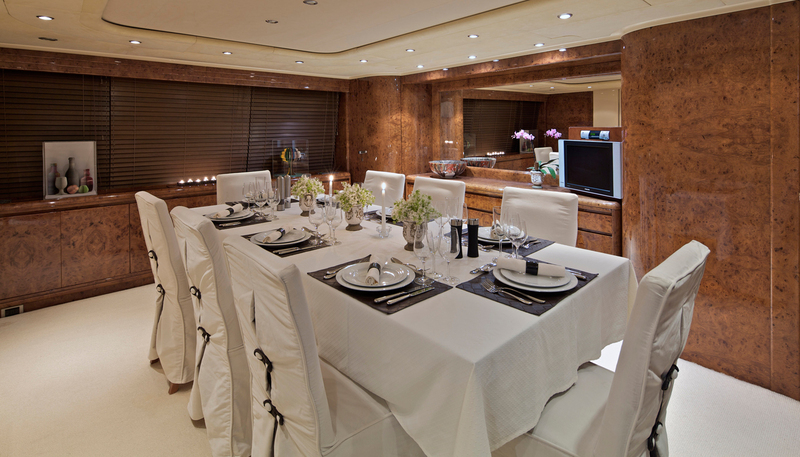 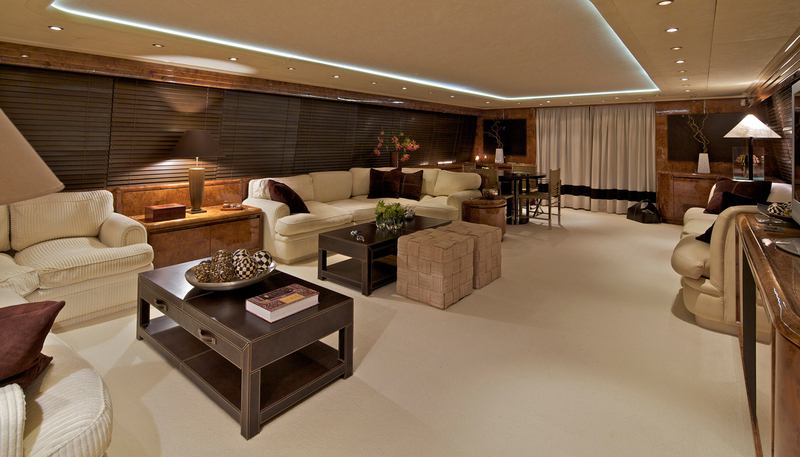 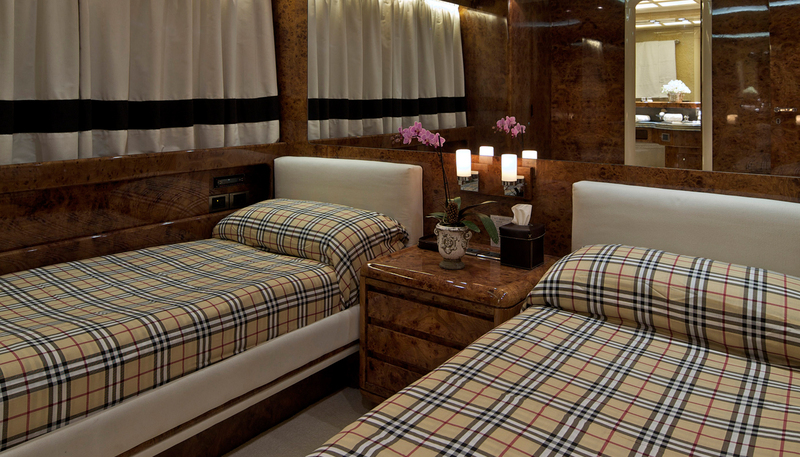 She accommodates 10 guests in one Master, one VIP, two twins and one up and down bed cabin, all with ensuite facilities. 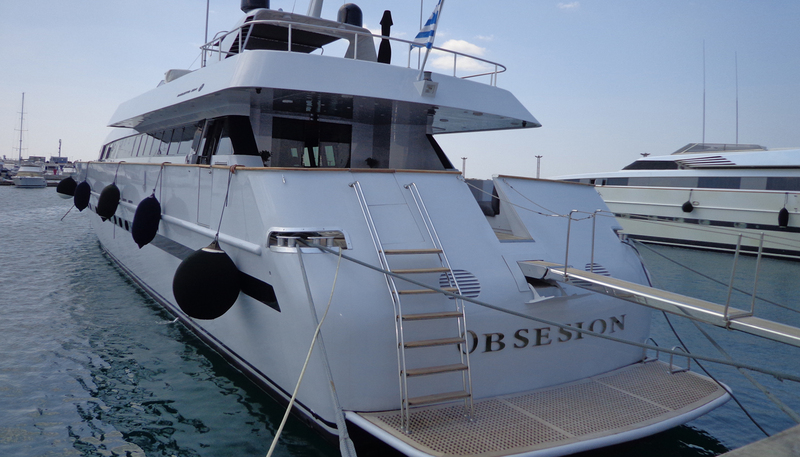 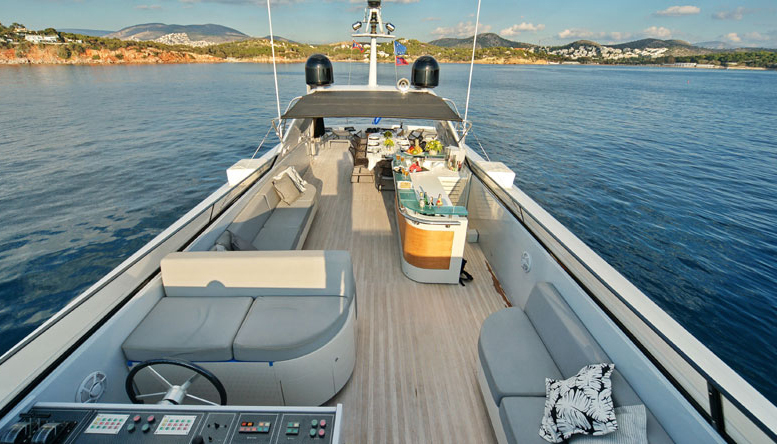 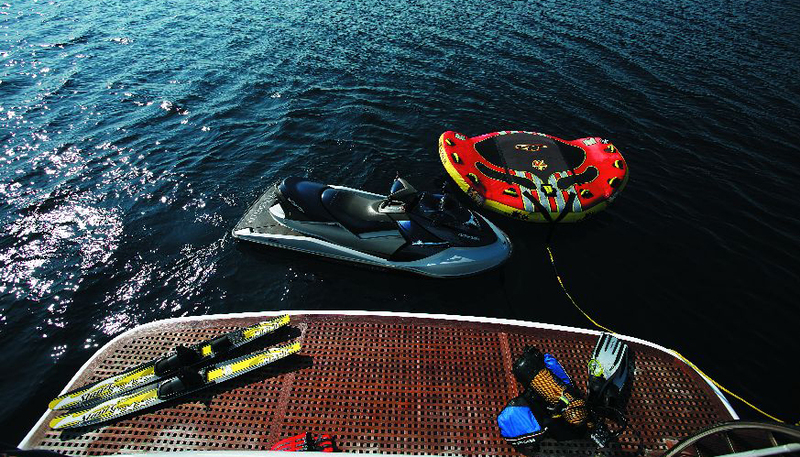 She has a very motivated crew that keeps the yacht in immaculate condition.